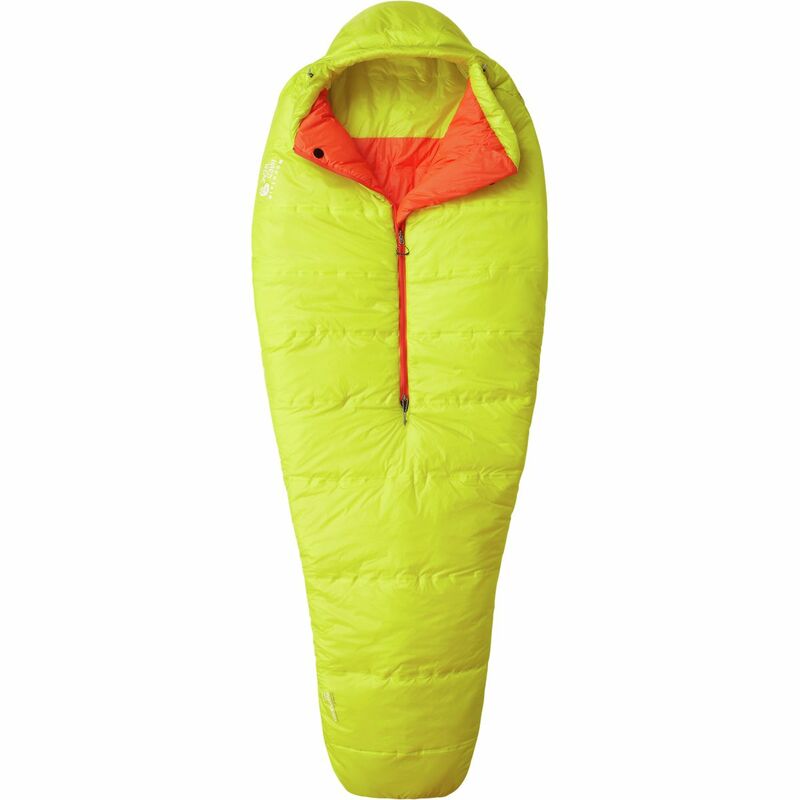 The Big Agnes Cross Mountain Sleeping Bag is warm enough for summer camping trips and light enough for backpacking adventures. Its Insotect Hotstream insulation uses recycled materials to warm your blood after sunny days by the lake, and it stays warm in case the summer rains start to fall. Big Agnes treated the shell to shed raindrops as well as other liquids. 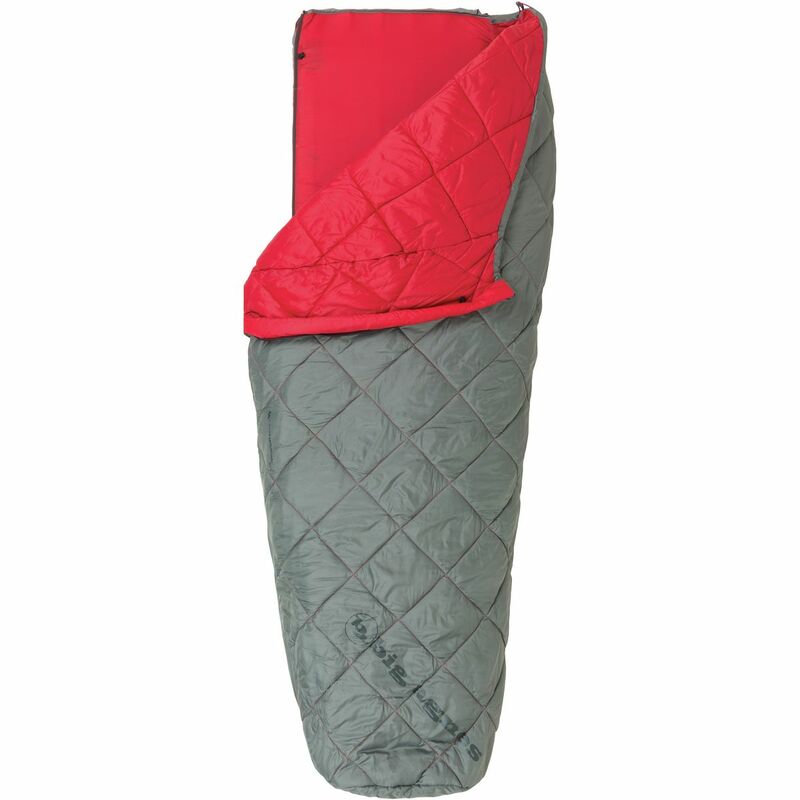 Like most Big Agnes bags, the Cross Mountain has an un-insulated sleeve for the perfect pairing with 20-inch sleeping pads. The hood has a unique toggle that can be loosened for summer's warmest nights, and the vaulted footbox adds room for even more comfort. There are internal loops for liners, and external loops for letting the bag air out. 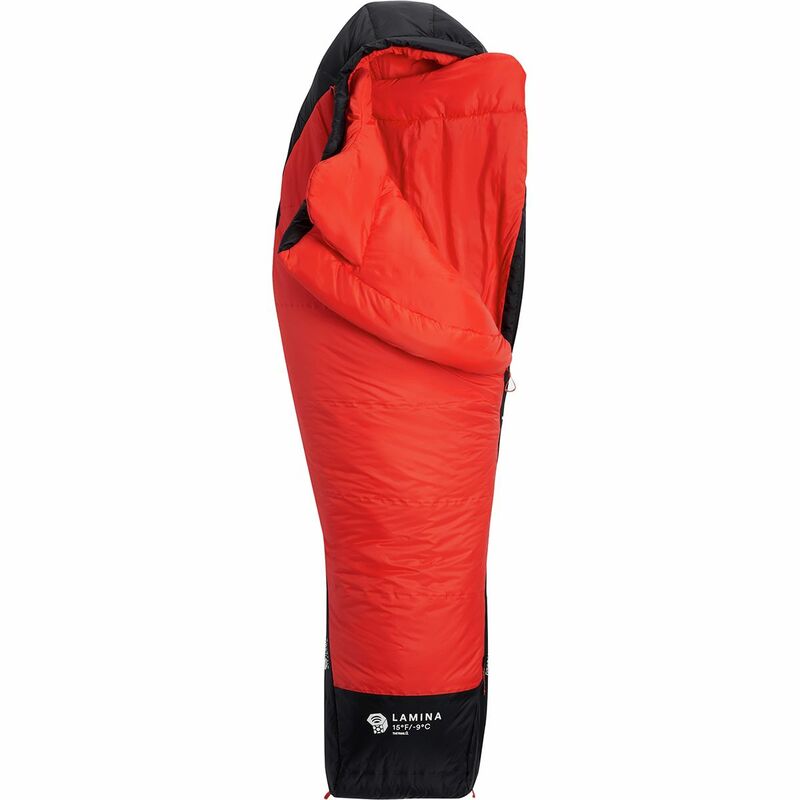 Big Agnes included sacks for camping and storing. 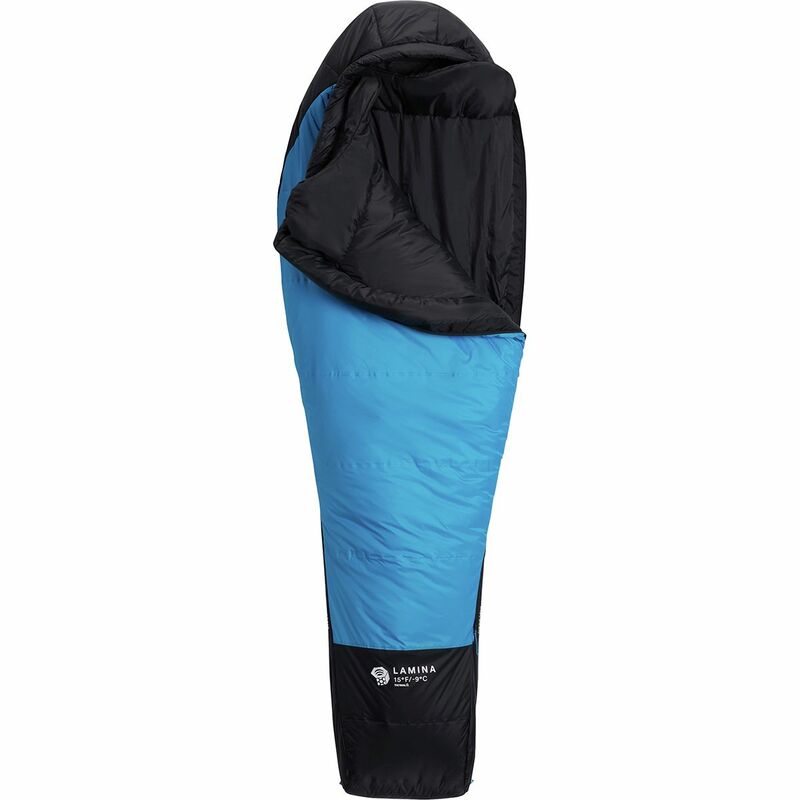 Lighten up your pack with the Mountain Hardwear Hyperlamina Spark 35 Degree Synthetic Sleeping Bag. This lightweight bag is ideal for climbing trips in the summer as well as backpackers looking to save some trail weight. Utilizing a welded construction, the bag boasts a better warmth to weight ratio than traditional synthetic fill bags since there are no cold-inducing stitches. Combined with a zoned insulation, which places additional insulation at your core and feet, you get more warmth where you need it, without any unnecessary weight. 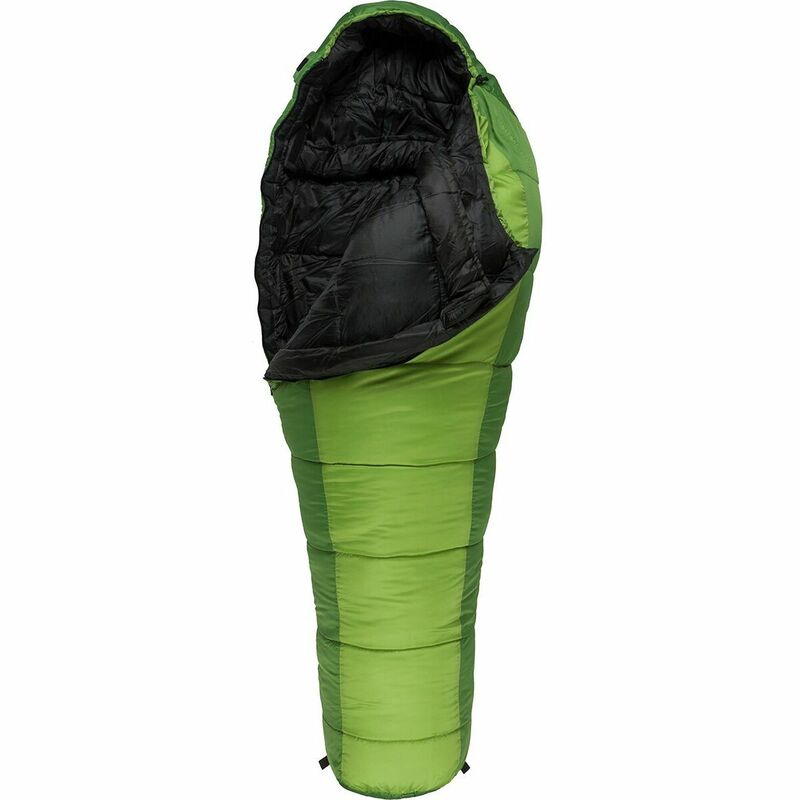 The center, half-length zipper saves weight, while maintaining the ability to vent the bag if you start to get too warm. The snug-fitting performance mummy cut is designed to maximize warmth while eliminating needless bulk and weight. When the night starts to get cold, fasten the face gasket and cinch down the tailored hood to stay warm, so you're ready to get after it once the sun comes up. 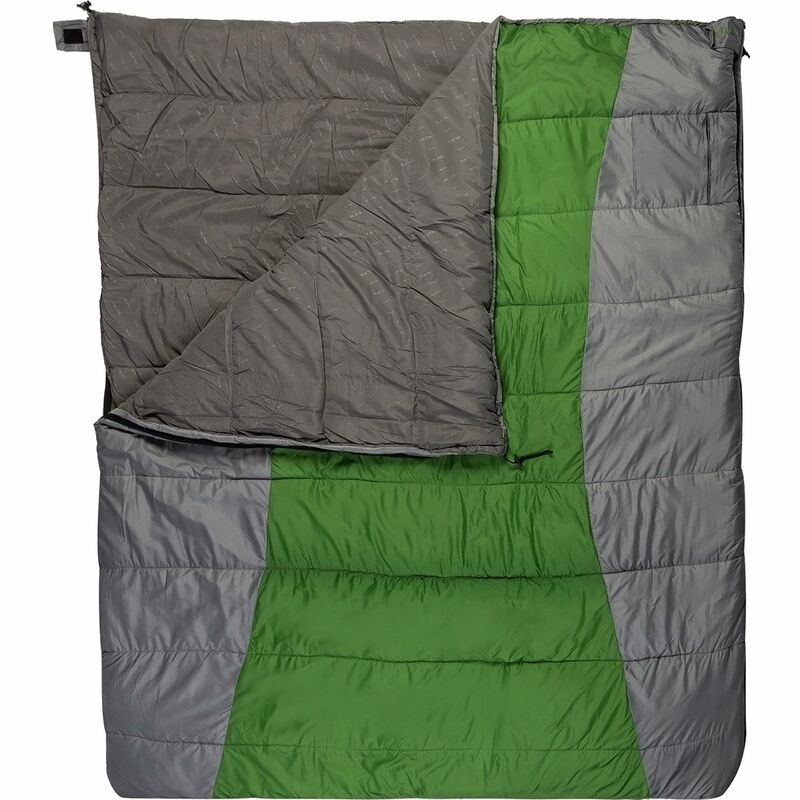 The Mountain Hardwear Lamina 15 Degree Synthetic Sleeping Bag is a great choice if you like three-season camping that can take you anywhere. Synthetic insulation delivers reliable warmth if you encounter wet conditions, or if your hydration bladder leaks in your pack (hey, accidents happen), yet Thermal. Q doesn't come across as the bulky, weighty stuff you're used to. 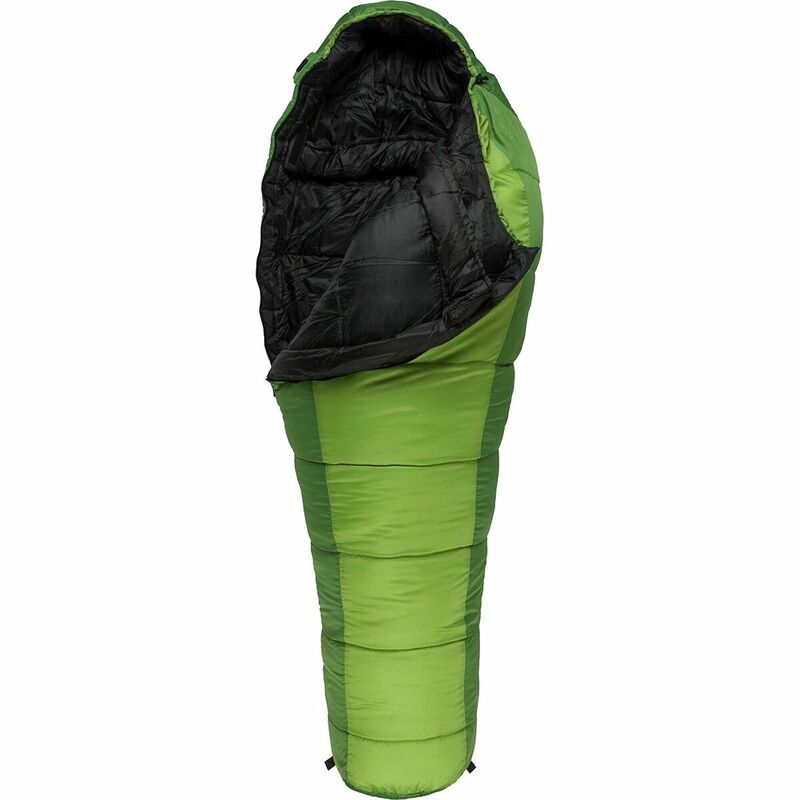 This polyester fill packs down well, so you can take the bag on multi-night trips, and the bag features unique Lamina welded baffles that directly connect the insulation to the durable face fabric to eliminate cold spots. 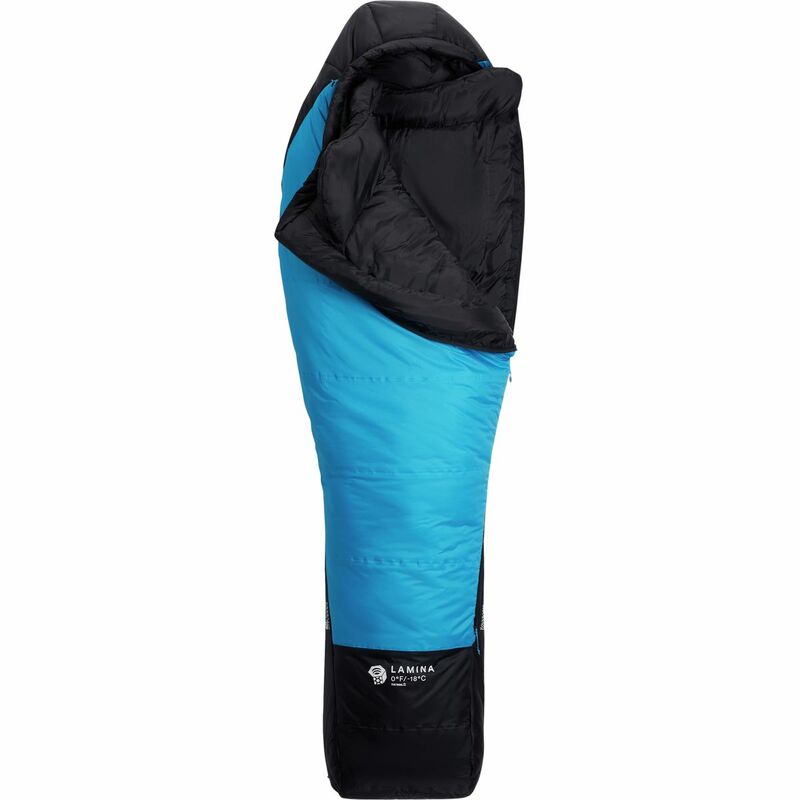 The 15-degree rating is just right for getting you through early spring or late fall nights, while a dual-way zipper helps you vent from the feet if you're camping in high-summer conditions. 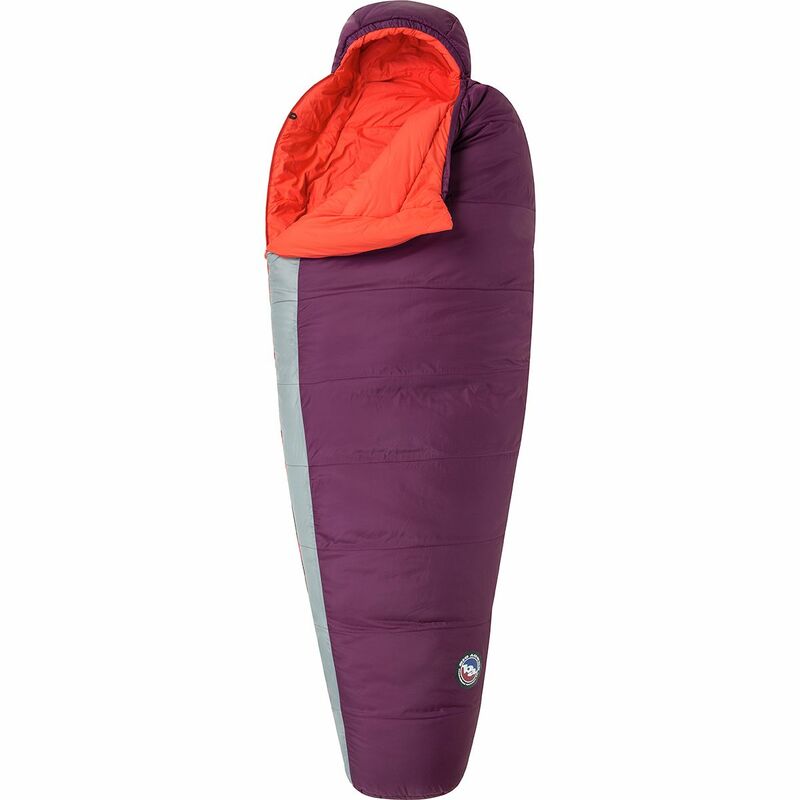 Mountain Hardwear made the Women's Lamina 15 Degree Synthetic Sleeping Bag for ladies that like three-season camping, and dare to travel in inclement weather. Synthetic insulation delivers reliable warmth if you encounter wet conditions, or if your hydration bladder leaks in your pack (hey, accidents happen), yet Thermal. Q doesn't come across as the bulky, weighty stuff you're used to. 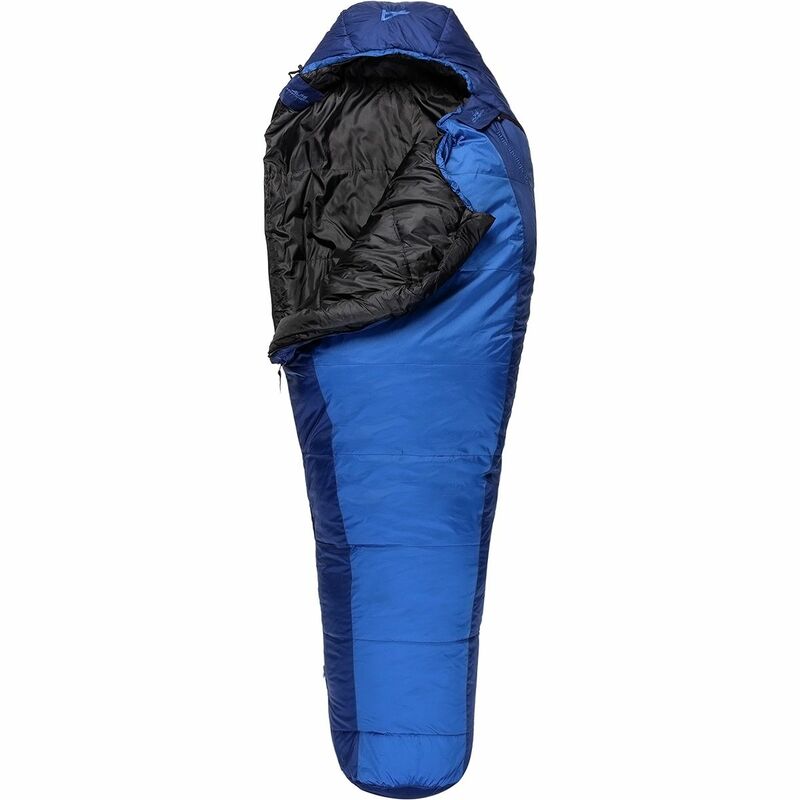 This polyester fill packs down well, so you can take the bag on multi-night trips, and it features unique Lamina welded baffles that directly connect the insulation to the durable face fabric to eliminate cold spots. The 15-degree rating is just right for getting you through early spring or late fall nights, while a dual-way zipper helps you vent from the feet if you're camping in high-summer conditions.